A good deal for spirited trail riding. You can count on the MXZ TNT’s suspension offering of RAS3 up front and rMotion 129 at the rear. JBassett photo. You can expect to have a serious choice come April as Ski-Doo, which already announced its next generation 600cc E-TEC twin, most likely will offer it as the sidekick to the 850cc powered MXZ models. As a replacement for the current 600 E-TEC, we expect the new one will be more in the 125 to 130 horsepower range, where the current version struggles to break 120-plus. Since we don’t expect major price breaks for the all-new 600cc powered models, looking for a current version of the “base” MXZ TNT 850 makes a lot of sense to us. The MXZ TNT rMotion 129 supports a 129-inch length Ripsaw track with 1.25-inhc lugs. JBassett photo. From a sheer value perspective, this most basic 850 MXZ is a top consideration. 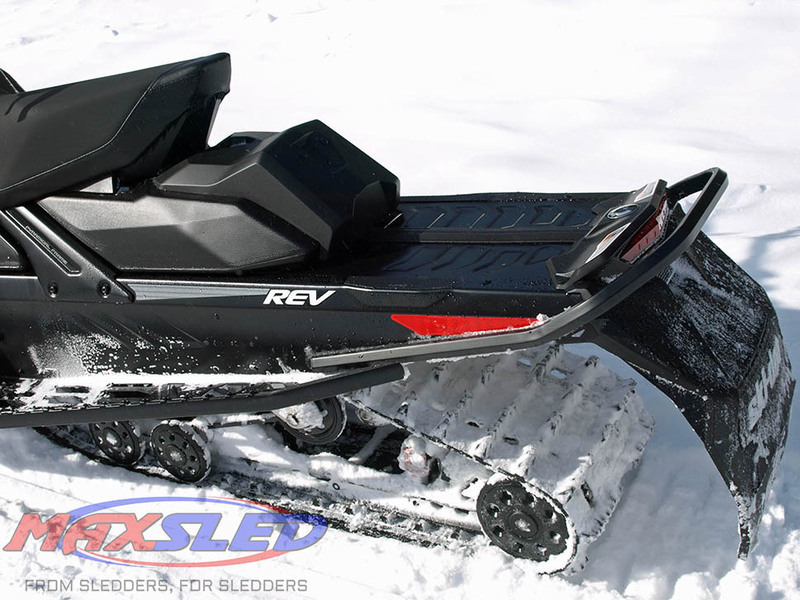 Though it lacks the higher tech add-ons seen on the X-RS and X versions, as 2018 model sport sleds go, the MXZ TNT 850 comes very well equipped. First, the base 850cc twin delivers exceptional good on trail power with smooth delivery from take-off through midrange and a top speed dependent on your courage. The MXZ TNT 850 is quick enough and fast enough for all but the most demanding lake racer. There’s even a bit of a midrange boost built into this Rotax, but it’s tempered enough so as not to be unpredictable when powering off a tight turn. Throttle response is quick and precise thanks to the engineers mapping of the electronic injection and it plays right into the heart of the drive system, a familiar pDrive roller clutch. Expect right-on performance with every throttle flipper squeeze. 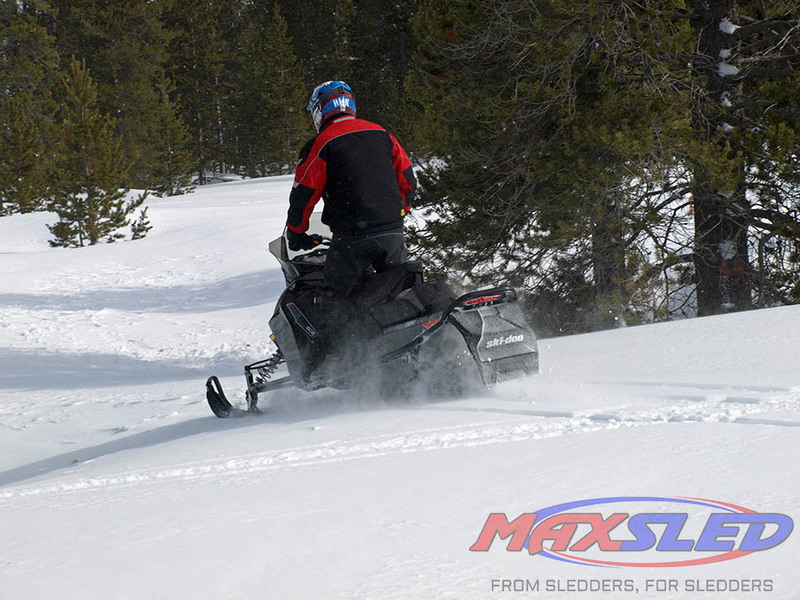 Ski-Doo’s 850 power team is proving strong whether mounted in a deep snow Summit or a new MXZ. It’s power you can count on. The RAS3 has optimized steering and handling geometry compared to the RAS2 that it replaces. The coil assisted HPG Plus shocks handle the design’s 8.7 inches of travel. JBassett photo. You can also count on the MXZ TNT’s suspension offering. The RAS3 up front comes with optimized steering and handling geometry compared to the RAS2 that it replaces. Look for flat cornering as the suspension can better attack the turns since Ski-Doo engineering centered the new 850 twin in the engine bay for agile cornering. The coil assisted HPG Plus shocks easily handle the design’s 8.7 inches of travel. At the rear expect proven quality as the TNT comes with the rMotion 129 suspension that allows up to 10.7 inches of HPG-Plus controlled action. This is a proven and well accepted suspension, but it’s “basic” as it doesn’t come with external adjusters. But its shocks, springs and coupling block set up is easy enough to tune. 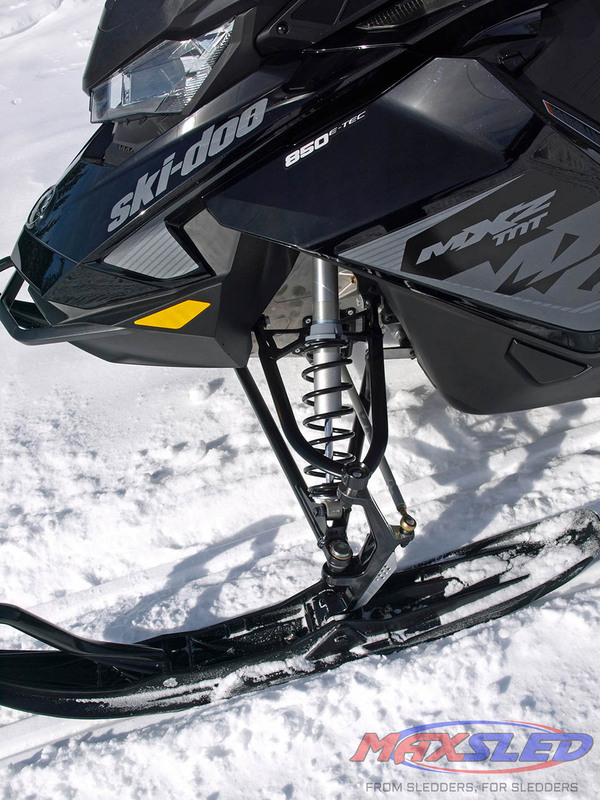 Ski-Doo’s 850 power team is proving strong whether mounted in a deep snow Summit or a new MXZ. It’s power you can count on. JBasset photo. 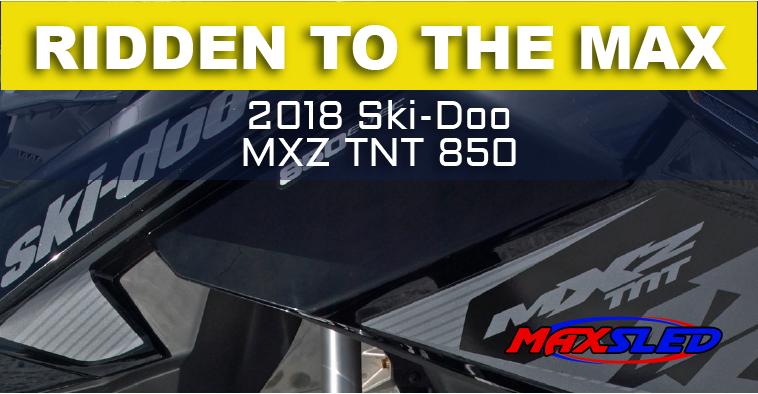 At the time of this writing, we don’t know what the 2019 MXZ versions with the all-new 600cc twin may or may not be, but we do know that at $12,549 the 2018 MXZ TNT 850 E-TEC is more powerful, proven and available at many Ski-Doo dealership even now. In fact, you may be able to get a deal as some dealers may be closing out excess inventory. It’s worth a look as Ski-Doo has been running a “Winter Celebration” promotion on select 2018 models. Getting a deal on a 2018 MXZ TNT 850 makes it a huge no-brainer purchase. This sled is already a trail warrior with above average power and top line features. Of course, when it comes to eventual trade in value, an 850 should offer more value than a similar 600cc version. Easy to read instrumentation includes an additional ”information” screen help you keep tabs in the TNT’s performance. JBassett photo. 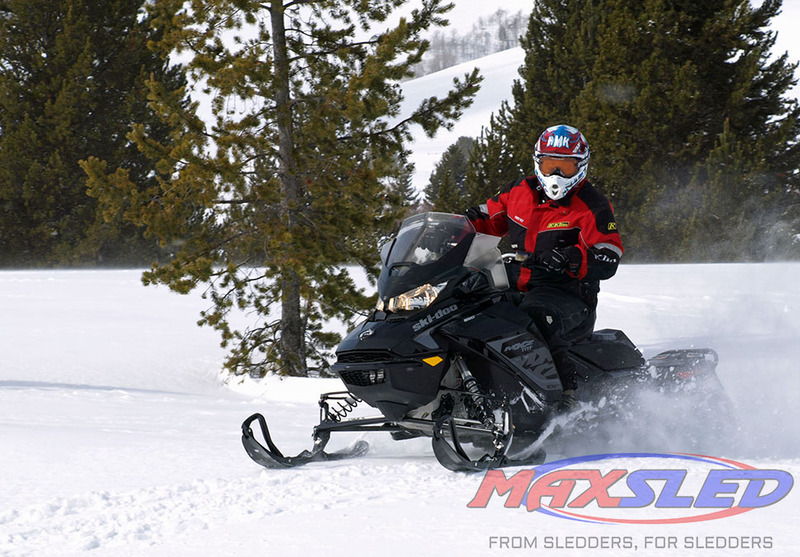 The Ski-Doo MXZ in any form has been a personal favorite. While we prefer the truly loaded up MXZ X-RS 850, we’d be more than happy with a “base” TNT. The sled fits virtually all riders with its aluminum handlebar with the J-ends to grip in corners. Trail riders will like the so-called “trail performance” seat design that allows you to hang out and slip forward in turns or sit back for cruising. There’s an adequate 17-inch tall windscreen that’s good-looking enough but not so short that it invites wind burn. 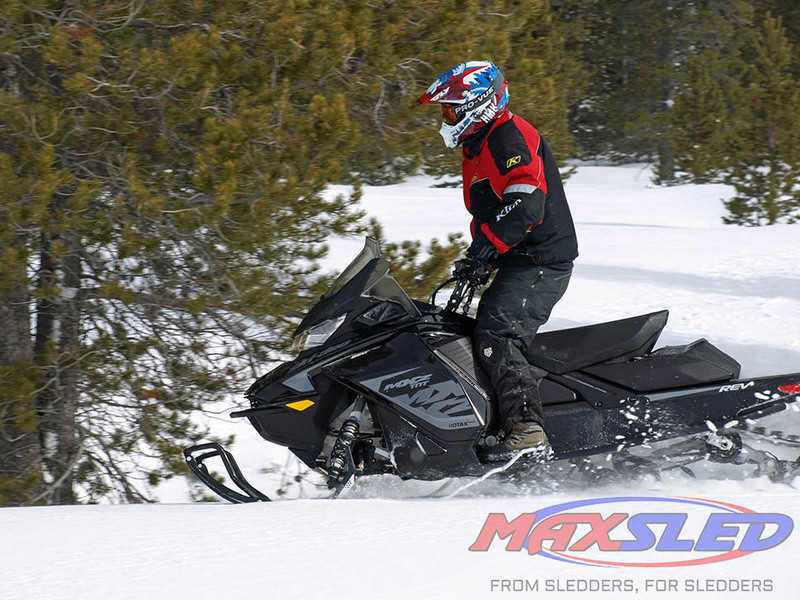 No, the MXZ TNT 850 is one of the most well-rounded trail sport sleds on the market. We can’t think of any fundamental flaws. It looks great, works extremely well, and did we mention that it’s powerful? 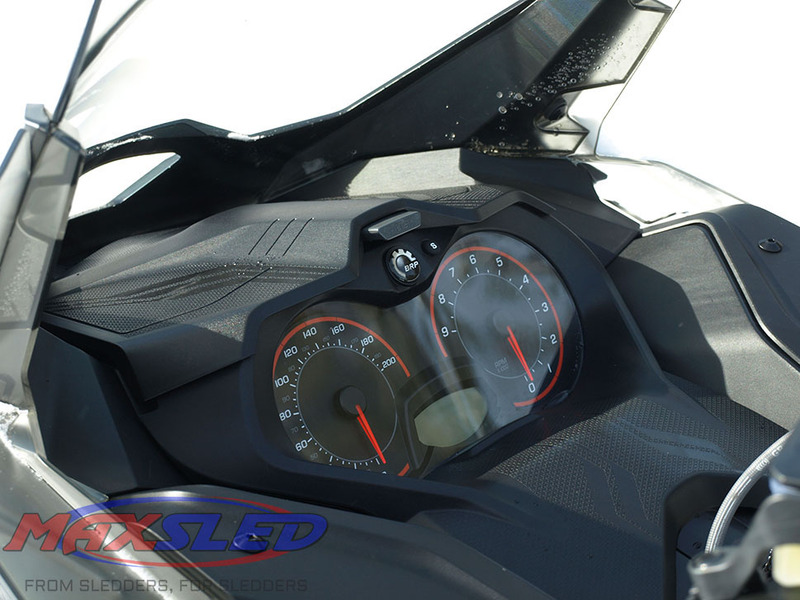 For the vast majority of snowmobilers, the MXZ TNT 850 is their ride. It satisfies the ego in style and performance. It’s a proven model with an incredible array of add-on potential. Keep it stock or dress it out. The Ski-Doo catalog awaits. When it comes to anticipating the 2019 model year and what Ski-Doo will offer, we expect the new 600cc twin will come in similar context as this current 850. But we’ll take the extra power of the 850 here and now! The MXZ TNT 850 is an excellent choice for long term riders who like to put the spurs to it for a spirited ride. Versatile and stylish, the MXZ TNT 850 is also extremely powerful for on and off trail running. JBassett photo.